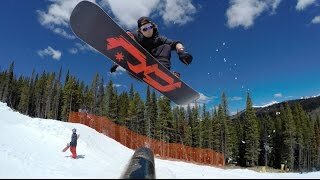 One of the sickest edits ever made! Lots of fun in Kaunertal last week! Some nice insights of Sage Kotsenburg's post-Olympics up and downs! Take a look at this snowboarding African kid and his inspiring story! Those tweaks and grabs are out of this world! There is little snow in the UK! But they traveled and found more!